There are over 1,700 new vehicle models available for purchase in the world today. Of those, only about 235 are sold in the United States. And of those 235, only 24 earned a Top Safety Pick Plus from the Insurance Institute for Highway Safety (IIHS). One of those 24 vehicles is the 2018 Kia Niro. The Niro is one of only two subcompact sport utility vehicles to earn the coveted Top Safety Pick Plus label. The Niro is a firecracker of a car, with outstanding fuel economy, better-than-average reliability, luxurious and spacious cabin, and plenty of cargo space. The Kia Niro seats five and comes with a standard engine or hybrid technology. As a hybrid, the Niro gets 52 miles per gallon in the city and 49 on the highway. All those things are true about the Niro, but the Top Safety Pick Plus distinction is given based on safety, something that anyone who is driving precious cargo makes their focus. We’ve all seen slow-motion crash tests depicted on TV, but what you may not know is these rigorous tests collect hundreds of data points per crash showing exactly what happens to the car and its passengers on impact. In these tests, the IIHS measures crashworthiness, ability to withstand a collision, and also accident avoidance, or the ability to avoid a collision. The IIHS then gives one of four scores for each data point: Good, Acceptable, Marginal, or Poor. No one score can be rated higher than Good. The results of the safety tests on the Kia Niro demonstrated that the design and construction of the Niro protected the head and neck, chest, hip and thigh, and leg and foot of the driver and front-seat passenger with the highest possible score. The Niro keeps you safer than competitors whether the collision is with something as narrow as a pole or as wide as another vehicle, and whether the crash is a frontal collision, a side collision, and even in the unlikely event that a weight is dropped from above. Seat belts and restraints worked as intended in the crash tests. The Niro’s headlights are bright and appropriately angled, illuminating up to 500 feet ahead with high beams. The one caveat was that testers found that child safety latches were too deep in the seat but otherwise they were easy to attach and maneuver. The IIHS also gave high marks to active safety features that prevent crashes, such as optional Autonomous Emergency Braking with Pedestrian Detection and Forward Collision Warning. This safety equipment can minimize or, if traveling at 25 mph or less, totally avoid crashes altogether. 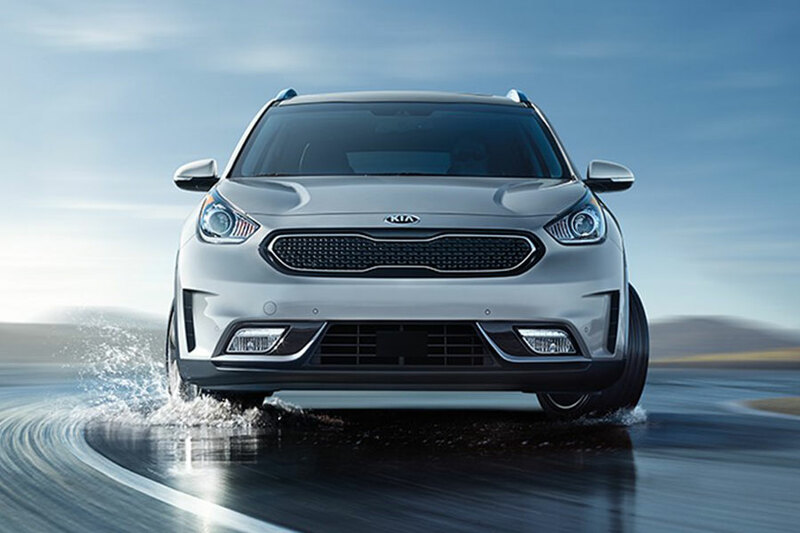 When safety is paramount, as it should be, the 2018 Kia Niro is one of the finest cars on the road today. You’ll be glad to own it when the unthinkable happens.